Who Should Write a Resume Summary? 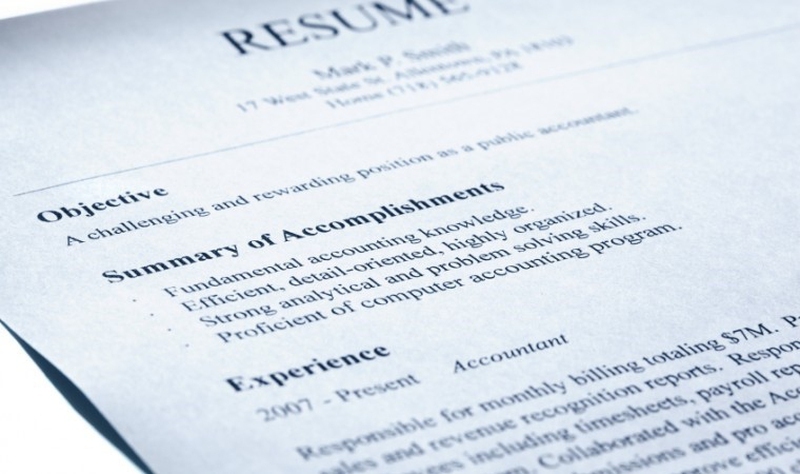 The summary statement on a resume is where you list your best qualifications. The hiring manager is able to see a brief synopsis of your personal qualifications. Upper level positions may refer to the summary as an executive summary. The executive summary varies from a regular summary statement in that it focuses on your track record of success in similar positions. Here we list several resume summary examples as well as tips on writing resume summary for you to take as a reference. Your summary needs to be precise while representing your strongest qualifications in a limited amount of space. Also, take a reference of some resume summary examples can help you figure out how to write a resume summary. Below, we list steps to write a professional resume summary. Begin with the top three to four skills or qualities that illuminate you as a professional. At entry levels, you may use academic trainings and experiences that support the positions in your summary. At upper levels, you need to show your business skills as well as specific expertise that you may have. Focus on what you want to do. If you are highly skilled at a task, do not talk about it unless you want to consistently utilize that skill or quality in your new position. Let your prospective employer know what you are good at and what you want to do. Once you have decided on the qualities and skills that you want to focus on, make sure they align with the job for which you are applying. Take a little time to do some research on the position to ensure the requirements line up with your qualities. A resume summary is not necessary for everyone, but everyone can benefit from using a summary. Including a summary statement is very beneficial for those who are changing careers. The summary will let the hiring team know that you have skills and qualities that can help you in the new position instead of assuming that you are not qualified, because you do not have similar experience. Use the summary to highlight the skills that are specifically beneficial for the position. Most recent graduates tend to have a general background, so being specific with your best skills will help. Your summary statement will become your executive summary specific for each position. The summary will help your prospective employer focus on your most relevant and beneficial qualities, accomplishments and skills. I am a creative problem solver with 5+ years as a project manager. I was able to increase repeat business by 15% with my experience and knowledge of web production that I gained while holding positions in educational publishing and consumer packaging. I consistently complete projects within allotted budgets and a timely manner while reducing employee turnover. Inspired, hired and trained award winning sales teams and increased sales by at least 15% during my 15 years as a sales manager. Used customer satisfaction surveys to gather recommendations for product improvements which generated profits above the company average. I offer expertise in developing successful strategies and trainings for growth in US and international sales organizations. I am a proven leader in increasing product benefits and customer services skills. I create dynamic marketing and branding strategies that improve customer engagement and gain new customers. I am a results driven administrative assistant able to utilize creative problem solving, critical thinking, and effective communication skills in a variety of office and industry settings. I am focused on goals and details that provide for the best customer service to all clients. I am able to reach goals and deadlines while meeting budgets even in the most challenging situations. I am highly effective in creating and implementing innovative administrative processes to achieve business goals. Mechanical supervisor with 20+ years of various manufacturing experience. Dedicated to using proven technical expertise to troubleshoot product improvement. With creative problem solving skills, exceptional organizational skills, I am able to create team cohesion and improvement as a goal oriented leader. Dedicated and diligent professional able to creatively utilize common sense to solve financial problems. Responsible project manager with the capability of meeting business goals using appropriate financial strategies. I am a versatile writer exceling in meeting deadlines and providing quick turnarounds. I creatively use my background experience in journalism, academics, and business to produce customized material. I am capable of creating effective news, marketing, web content, and career development articles. I have exceptional client service and am able to provide sales support. Do not write a resume summary if you lack skills, experience, and activity. There are plenty of other strategies you can use to create a spectacular resume if you do not have the needed experience and skills. Do not fret over not having a summary. Use short, concise sentences that quickly convey your message. Avoid using long descriptions. Remain brief with between 50 to 200 words. Use 1.5 line spacing to allow for easier reading. Only use the extra space if you have it available. Ensure that your qualifications line up with the requirements of the job. Proofread your summary at least twice. Read aloud once to make sure it sounds natural; check the grammar, spelling and punctuation errors. Keep the whole summary in the same tense (i.e. 1st person or 3rd person).